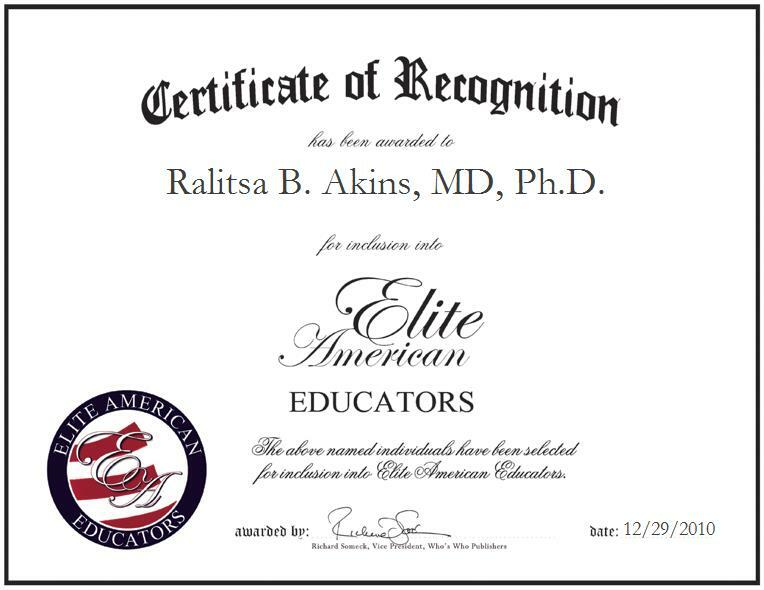 El Paso, Texas | December 29, 2010 | Ralitsa B. Akins, MD, Ph.D., Medical Director and Associate Director of ATACS Center at Texas Tech University Health Sciences Center’s Paul L. Foster School of Medicine, has been recognized by Elite American Educators for demonstrating dedication, leadership and excellence in medical education. An expert in medical graduate and medical undergraduate educational administration, Dr. Akins has nearly two decades of overall professional experience. As the Medical Director and Associate Director of ATACS Center, Dr. Akins is responsible for managing the center, overseeing the standardized patient and simulation program, and teaching clinical skills to students, residents, faculty and health care professionals. The highlight of her position is working with people and being able to see results accomplished. Dr. Akins believes that in medical education, the one-to-one patient-doctor encounters bring a lot of healing and satisfaction. However, a health care educator has the unique opportunity to have an instant effect over thousands of patients. For example, if an administrator implements a patient safety guideline in a practice with 10 physicians, each having 5,000 patients, that health care educator has reached 500,000 patients each year. Attributing her success thus far in the industry to her perseverance, patience, preparation, and punctuality (with some luck and talent mixed in), Dr. Akins hopes her true success is yet to come. In an era of super-narrow specialization, Dr. Akins is proud to have a broad-based understanding of the fields of medicine, education and business, which affords her a unique perspective and offers innovative problem solutions. The greatest joy of her position is the endless possibilities of growth; Dr. Akins position can be molded to her perspective and competencies and the only limits are the limits she sets for herself. For Dr. Akins the limit to ones success is dependent on how far your imagination will take you. Dr. Akins earned a Doctor of Philosophy (Ph.D.) in education and administration from Texas A&M University in 2004. She also holds a Doctor of Medicine (MD) from the University of Medicine in Bulgaria, earned in 1994, and she completed her residency in orthopedics and trauma surgery while still living in Bulgaria. Dr. Akins is certified in human relations training and development from Texas A&M University. She was honored with the Best Administration Award for Pediatric Residency Program in Leadership in 2008, a Certificate of Contribution from the American Academy of Pediatrics in 2008, and Faculty of the Year Award in 2007. 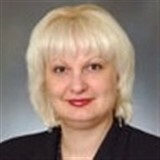 She is proud to serve as Strategic Planner for Technical Standards Subcommittee for the Society of Simulation in Healthcare, Co-Chair of the Resources Subcommittee for the Association of Standardized Patient Educators, and as Vice President of the El Paso Chapter of the Association of Women in Science.